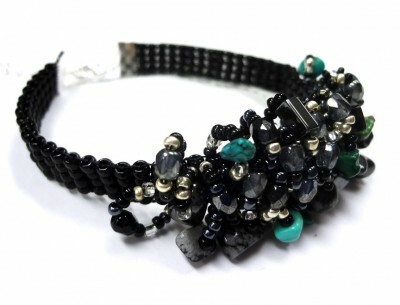 The Jewel Loom™ by Julianna C Hudgins! Earlier this spring I showcased the success I had working with the The Jewel Loom™, designed by Julianna C Hudgins! It really is a fabulous new loom! Prior to this class I had only experimented twice on a loom. Now I feel like I could make anything! The instructions included will have you making jewelry quickly! Ready to order at John Bead now! Author Carmi CimicataPosted on June 27, 2013 May 2, 2016 Categories Beading LoomsTags Bead Loom1 Comment on The Jewel Loom™ by Julianna C Hudgins! 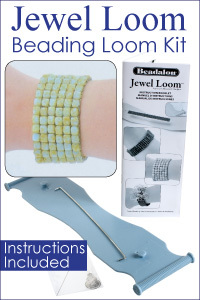 Today I am showing you my very first bead loom project. Dazzle-it has two sizes of the traditional beading loom and I decided to give the standard size loom a try. I have been wanting to learn how to bead on a loom for some time. Later this month I will be taking a class but I decided I better start experimenting this weekend so I am at least familiar with standard loom techniques. The loom does come with everything you need to get started on a project. It was simple to set up. The only thing extra I did was use my own beads since I had two pretty colours already out on my work table. I was absolutely AMAZED with the ease in which I was able to bead on the loom for the first time! The box does not lie. It is fun and easy! When I removed my beaded section I did find one mistake. You can see here I missed catching the main string in this section. However, for someone who has never used a loom, I think my edge work is quite good! Since I plan to immerse myself into the art of weaving on a bead loom I also started to experiment with taking photos. I am going to really enjoy learning this traditional and beautiful craft! 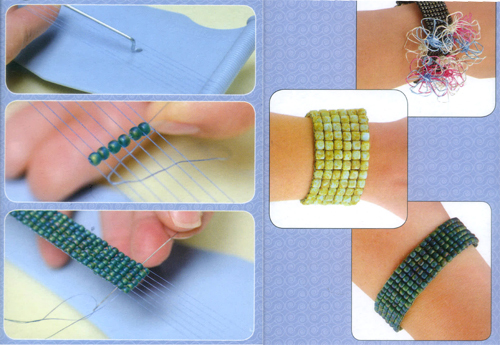 Dazzle-it has the Traditional Bead Loom in its catalogue! It is available in regular and large.